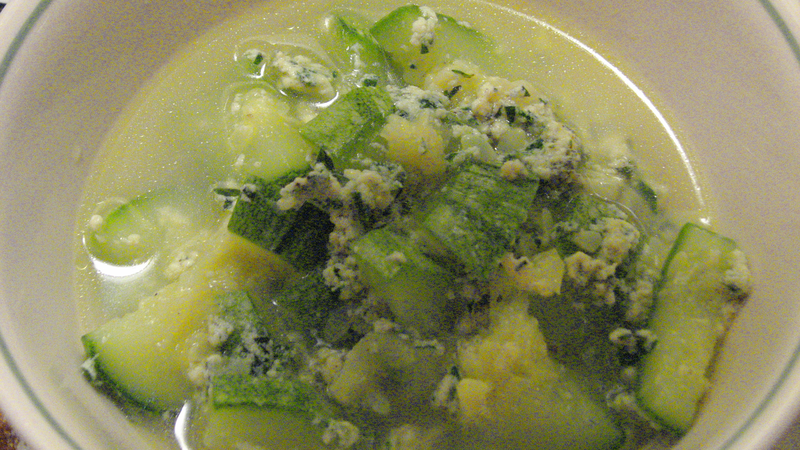 This is a vegetarian variation of stracciatella highlights the soft flavor and texture of zucchini and is enriched by the addition of eggs, butter, and a bit of cheese. 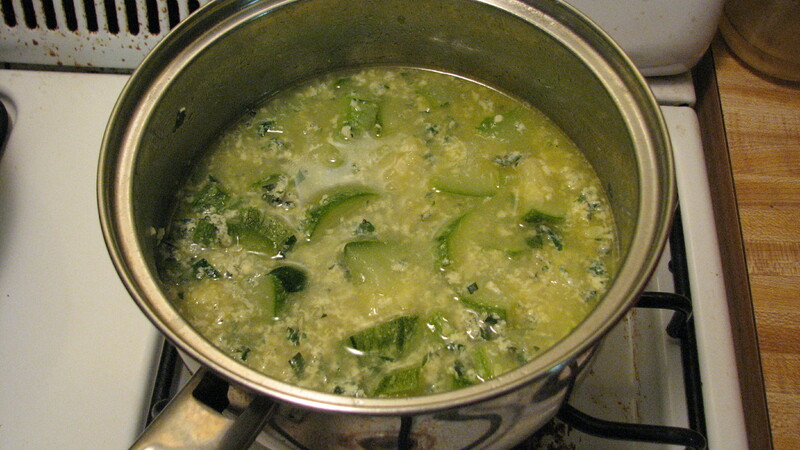 This is a vegetarian variation of stracciatella, an Italian soup traditionally made by stirring beaten eggs into a meat-based broth. 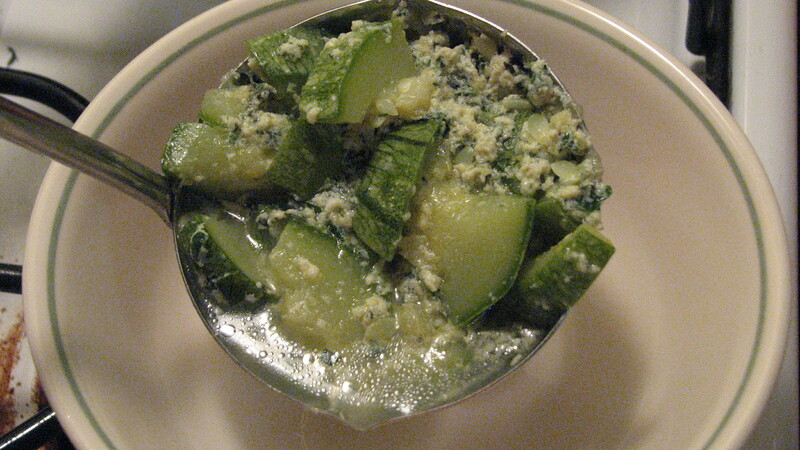 This version highlights the soft flavor and texture of zucchini and is enriched by the addition of eggs, butter, and a bit of cheese. Bonus: From start to finish this soup took about 30 minutes to prepare, a perfect option on a night when you’re craving a hot meal and don’t have much time or energy to cook. 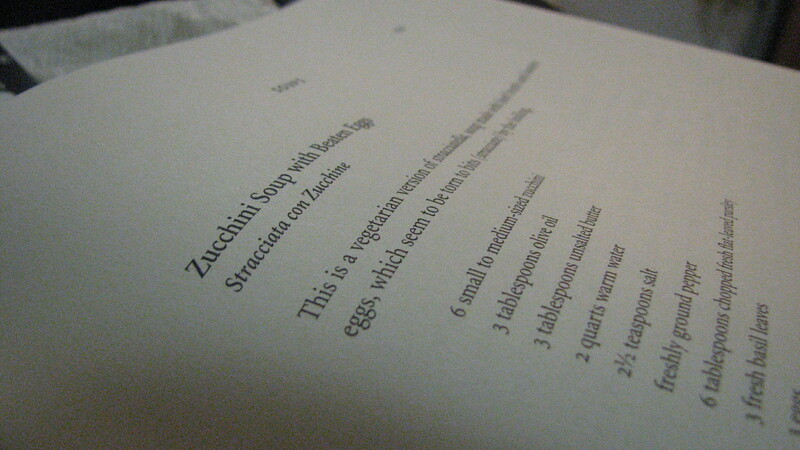 A few notes: Be careful not to overcook the zucchini during the sauté. You want the insides to be “soft and fluffy” as I once read properly cooked zucchini described as – but you don’t want it to be absolute mush. This makes about 6 servings if you make the full recipe, or you can scale it down according to how much zucchini you have on hand. 1. Wash zucchini, trim ends, and slice in half lengthwise, then slice each half lengthwise again to make quarters. Slice each quarter into ½ inch pieces. 2. Heat oil and butter in large pot over medium heat until butter melts. 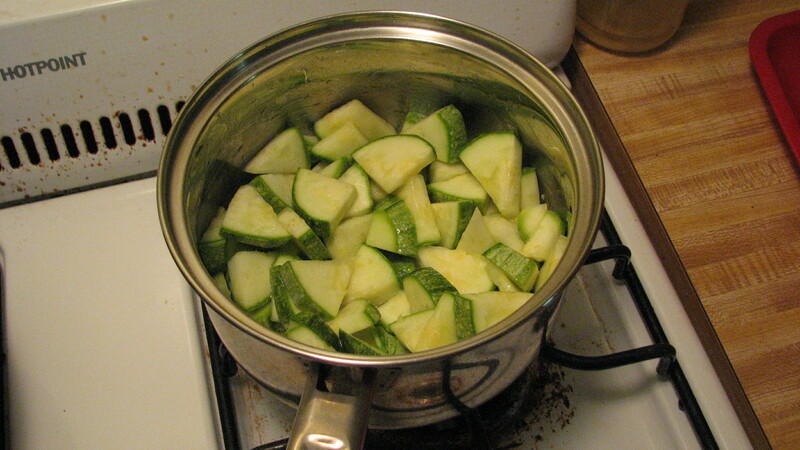 Add sliced zucchini and sauté for 5 minutes, stirring gently. Add the warm water, salt, and a few twists of black pepper. Bring to boil, then lower the heat a bit and boil gently for 10 minutes. 3. 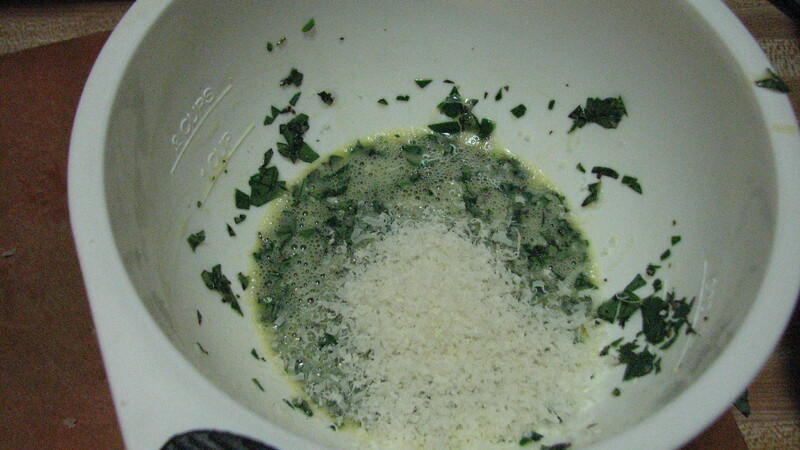 While your soup is boiling, beat the eggs; then add the parsley, basil, and cheese, and mix well. 4. 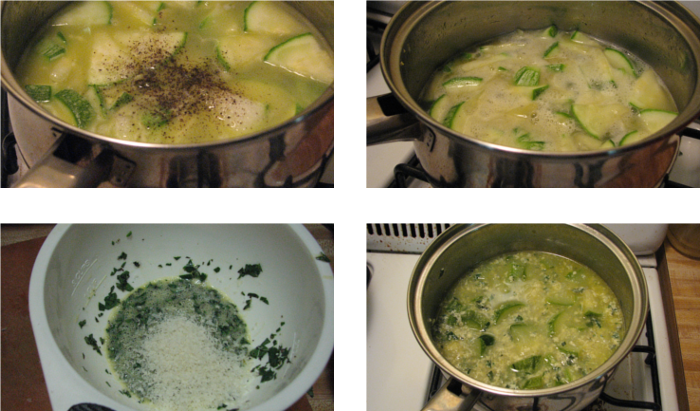 When zucchini are cooked, pour egg-cheese-herb mixture into the bubbling soup and stir with a whisk. Turn off the heat when the eggs are cooked and floating throughout the soup. Previous Previous post: Happy Birthday Maia!